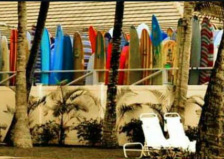 Welcome to Surf, Play & Stay Rincon Puerto Rico! _Rincon, Puerto Rico is known as "Pueblo del Surfing" (the surfing town) and "El Pueblo de los Bellos Atardeceres" (the town of beautiful sunsets). These are only two of the wonderful assets that Rincon, Puerto Rico has to offer. This tropical paradise has many other attractions that makes Rincon, PR an ultimate vacation destination. Rincon, Puerto Rico is great place for that Caribbean beach wedding you have always dreamed of. Surf, Play & Stay Rincon, PR provides the most complete and comprehensive online visitor's guide available for Rincon, PR. A tour of our site will provide you with a wealth of information on great lodging in Rincon PR, good places to eat and drink, fun things to do, beaches in Rincon, PR and much more. The site includes some other very useful features like the Rincon Business Directory, our vacation planner and surf reports. Please take a moment to explore and enjoy the site! Travelers: Our site works well with mobile devices! Please bookmark us as your travel guide of choice to be used once you reach Rincon, Puerto Rico. Check our Site Guide & Vacation Planner. Water Gear & Surfing Stuff! The best news in town! See Video on Rincon PR now!